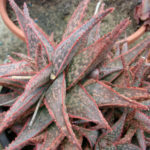 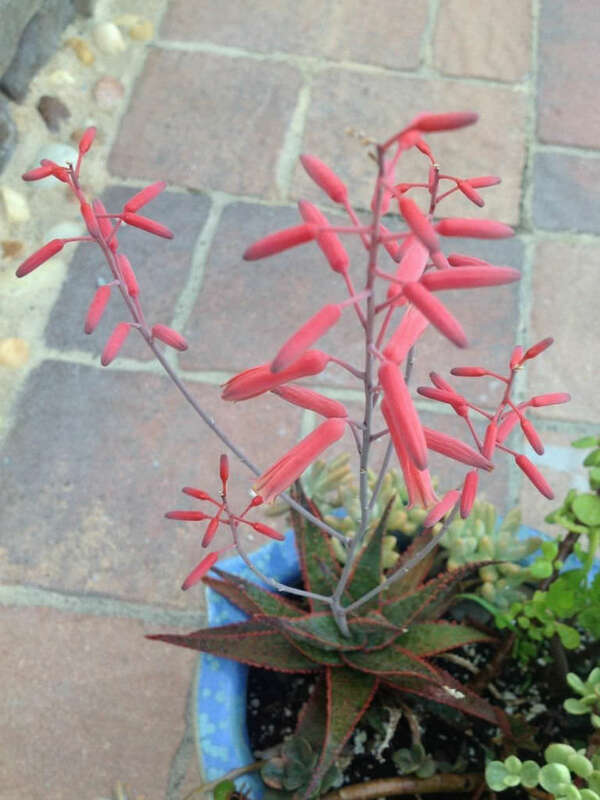 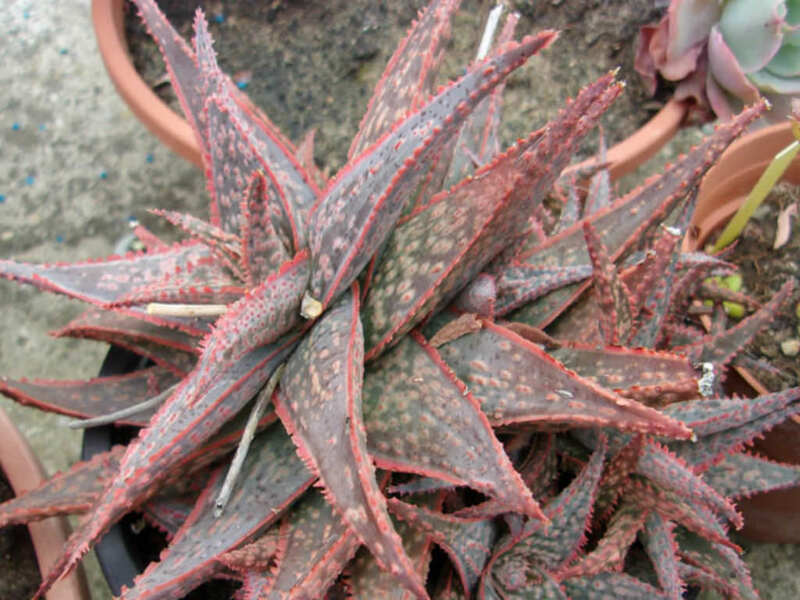 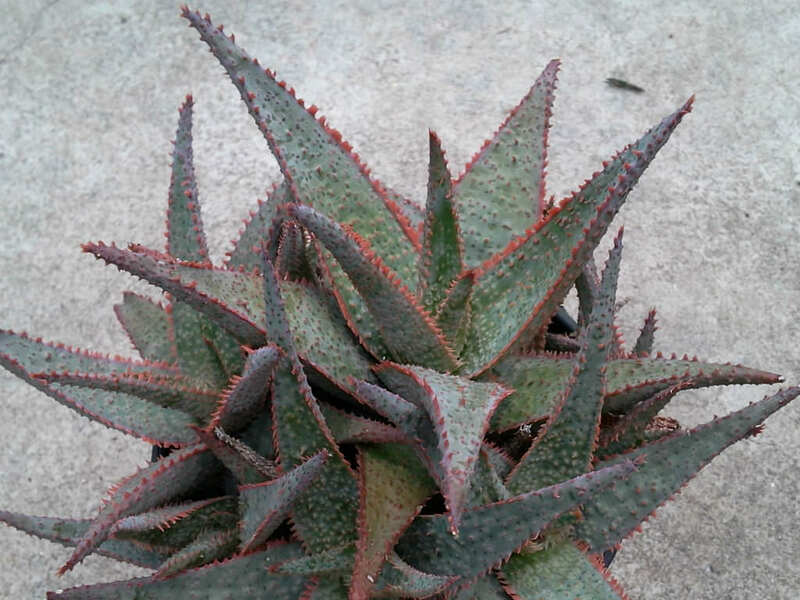 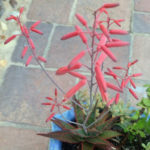 Aloe ‘Donnie’, also sold as Aloe ‘Bright Star’, is a beautiful, multicolored Aloe hybrid with rosettes of succulent leaves spotted white, with delicately toothed edges of deep pink to red. 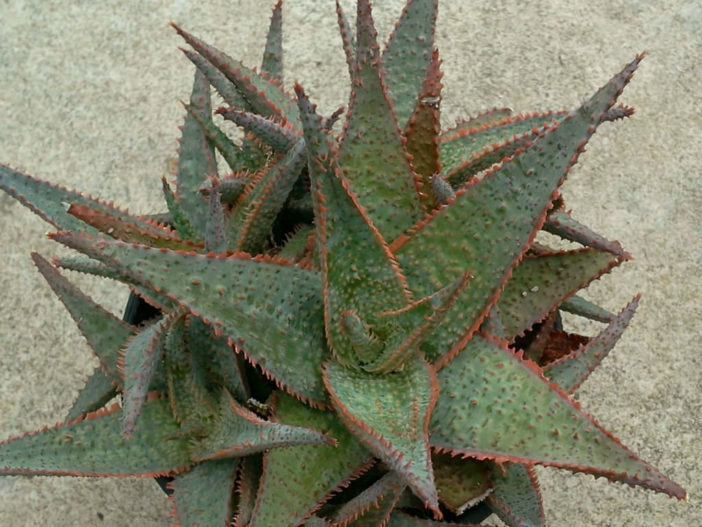 It is a dwarf succulent plant and grows up to 4 inches (10 cm) tall and wide. 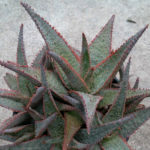 It is a nice addition to the succulent collection outdoors or in.